Today, a birthday card. 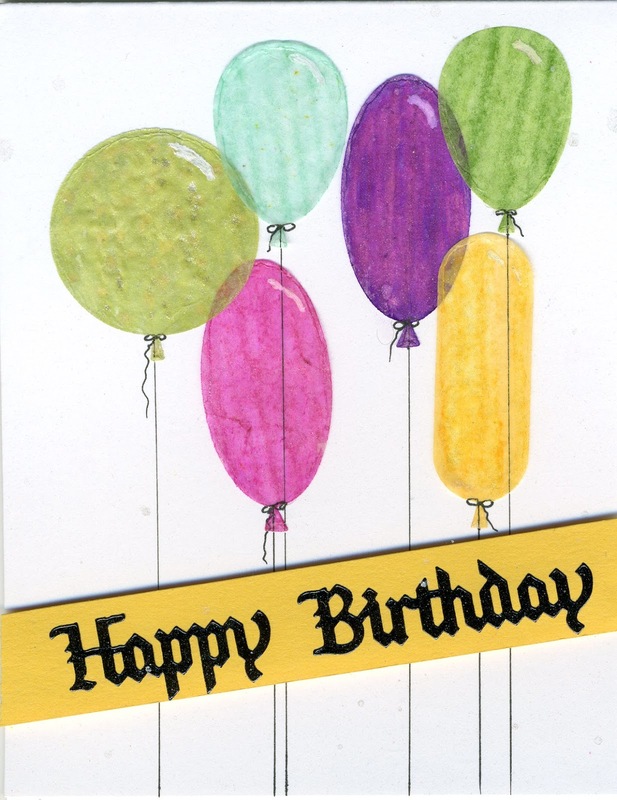 The balloons are made of handmade paper, colored, then cut into balloon shapes. I drew in the little triangle bottoms and the strings with bows. On top, a coat of Glossy Accents adds both shine and texture.